Dr. Alvaro Margolis: Yes, I’m from Uruguay in South America in Montevideo the capital which is very close to Buenos Aires. I am an internist and have a Master's Degree in Biomedical informatics from the University of Utah. 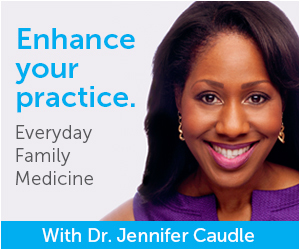 I am the President of EviMed which is a company that works in aligning international CME in bilingual, Spanish, Portuguese, and Latin American. Alicia Sutton: Excellent. Well, we look forward to talking about this because Facebook is obviously everywhere. Socia media is everywhere and more so in education. So, give us kind of the lay of the land. What was your project going to be about? Why Facebook in this educational realm? Dr. Alvaro Margolis: Basically, you have to think that Latin America has one million physicians. It is a large audience of learners. What can you do, for example, if you have 1,500 or 2,000 participants in an online course? Maybe you can have tutors but how many tutors do you need? So, what we wanted to do is have a meaningful direction among participants who knew each other, and we the faculty, in a way that can be automated instead of having an army of tutors, which is what you need if you have 2,000 participants. Alicia Sutton: Right. So, the social media discussions among those members would be sort of its own tutor. Dr. Alvaro Margolis: Exactly. The interaction, if you can interact with people you know and trust, and also with the faculty in an automated way, it is as it is in real life. When you have a problem learning, you want to reflect with people you trust to see if you want to change your practice. If you use Facebook or Twitter or other social media platforms, you can have it within the learning platform. That was the concept of why we got into this research and innovation project. Alicia Sutton: Right. So, there is some social media science used here, but I know that when you do present, you're going to talk about the challenges that you face, including how to gather the information in a meaningful way and other challenges. Can you address some of those for us? Dr. Alvaro Margolis: Once you know what you really want to use, what Facebook does, Facebook has two billion users every month. You don't see two billion users. You see the peripheral around yourself and the people that you know. Once you realize that you want to do that, you have to gather the data, the contacts of the people who are participating in the course. The first thing is to gather the contacts data. Each participant who is registering to a course, who does this person know from the other list of participants and are they members of the same team or institution, or do they know each other because they go from the association where they work. Alicia Sutton: We took a quick break and we are now back. Joining us on this discussion about Facebook and other social network approaches in interprofessional education is Jan Balmer. Jan, introduce yourself because you're a colleague here. Jan Balmer: Sure. I am a colleague of Alvaro Margolis, my dear friend from South America/Latin America. I am Jan Balmer from the University of Virginia School of Medicine. I am a nurse with a Ph.D. in higher education, past president of the Alliance and involved with accreditation for nursing as well. Alvaro and I have been involved in global continuing education and interprofessional continuing education and looking for really creative strategies to try to engage, globally, all of our clinicians, researchers, and learners in a way to improve care in all corners of the world. Alicia Sutton: So, we were talking about the fact that there are two billion Facebook users all over and that you need to gather that information about a subset of them. What was the geographic footprint of the users that came into your study? Dr. Alvaro Margolis: Yes, basically, as I said, we have one million physicians in Latin America and also other health care professionals because we're talking about learners, not only physicians but the health care teams as a whole. So, it's a large setting and you're going to have massive audiences. I'm talking about courses between 1,00 and 2,000 participants. In any type of disease like infection control or nephrology or pediatrics, you can imagine a similar problem with the size of the population of physicians and of the health care teams in the U.S.
Jan Balmer: Right. So, the really important work that Alvaro is doing is because a lot of the health care professionals and health care teams are widely distributed geographically across Latin America. In the United States, we have some very concentrated areas and then some really very rural areas, and it is really a challenge to try to figure out what the best strategies are to get the information so that access and optimum care is being delivered and that you're not affected by what your access is to health care or where your access is to a major metropolitan area. At the University of Virginia, we're actually more in a rural area, so I'm very sensitive to the fact that we really need to make sure that we utilize a lot of these strategies and we're building off of the information and the research that Alvaro and his group in Latin America have done, so that we can see how it works in the United States and ways that it will make a difference. Alicia Sutton: That's great. Is this ongoing right now? You're working on this at the university? Jan Balmer: Well, we're just getting it started because his work is still very much informative and early summative stages, we're really going to have to look at what lessons we've learned, how they're working, how the best way to adapt it because the health care systems themselves are very different. The way insurance is carried out, the way people receive care is very different. So, we sort of have to take those cultural and geographic issues into consideration when we look at how social media plays. Alicia Sutton: Right. Tell us a little bit about how you used the data from a social network analysis theory, which is part of what you're presenting. How did you use the data to generate dialogue among those members? Dr. Alvaro Margolis: Basically, the first thing we thought is that having the information about how connected each participant is would give us a forecast of how well or bad at the end of the course the person would do. That was the first idea because what we saw before is that people who are less connected or groups that are less connected didn't finish their courses as many as people or groups of specialists who are more connected. Alicia Sutton: So, more connected meaning they had more friends in that network. So, the more they had the more likely it was they were going to complete. Jan Balmer: Right. So what it creates is a community of practice. It gives you peers that you can discuss and have dialogue with. One of the most important things about continuing education aside from providing them with the latest research, is to give them an opportunity to put it into context and to put it within their care environment, and then to bounce their ideas, concerns and challenges off their peers in a way that creates sort of a collective mentality or approach or philosophy to care. Dr. Alvaro Margolis: Exactly. People who are less connected effectively, in our research, it is less likely that this person participates in a meaningful way inside the course. So, the recent relationship that we, after we studied it, we found the correlation between the two variables. More or less connected and participation and completion of the courses. That was the first thing that we did in one of the research projects. Then, regarding interaction which is what I was talking about and Jan too, we thought maybe once we have the information about how people are connected, maybe we can create balance groups, groups that are well balanced. All of the groups have more or less the same connection. Some people are more or less well connected in each of the groups. That's something that we did with mathematical algorithms. We made sure that discussion groups were balanced and people were connected to each other in those groups. But then you needed the tutors for that so we said why don't we try to do something similar to what Facebook does or Twitter. We started doing that so that each person participating in the course would see the thrill of discussion among themselves, and their friends and friends of friends, and then the faculty too. Alicia Sutton: Right. These were private groups, obviously, on Facebook. Dr. Alvaro Margolis: It doesn't run on Facebook. It is on a learning platform and these are people who are locked in the course. It uses the same kind of algorithms but it is not run on Facebook because if you run it in a social platform, then you have the restraints of the social platform like privacy and confidentiality. This is rather on a learning platform, but using the same kind of algorithm. Alicia Sutton: Absolutely. Was any of this a surprise to you? The outcomes you've seen so far. Dr. Alvaro Margolis: Before we change the topic, one of the first applications we did was in a course that we run together throughout Latin America with the Global Alliance for Medical Education with Jan leading the education committee. Jan Balmer: I think it actually is supported very strongly by research. What we know is that physicians and health care teams want to learn and they want to provide good quality of care, but the elements of communication and in the context in which they provide the care, and the support that they receive from their peers in terms of fostering that positive improvement and getting positive feedback about that all link very much to change theory and adult learning theory because it's answering questions that they're dealing with every day in their practice. So, what you want to do is leverage that research and that evidence that we know provides better patient outcomes and more active learning into formats that are now consistent with what societies and professions and what we used to do on paper or through other kinds of methodologies is now very much into a social media-style platform. Actually, the length of time is shorter. So, what we know is that people stay engaged for shorter periods of time so you have to be really focused on what the messages are, but there has to be a personal connection because if the personal connection is not there, then they are not engaged at the level that we need them to be. Alicia Sutton: And that’s interesting that you raise time because your right social media has trained us to go in and out very quickly to get in out information so you have to think about that in the construct of education where we have been thinking about much longer periods of time in the past. Jan Balmer: Well, and some of that is the function of the research. So, the plethora of research over the years, it used to be that there were one or two journals per specialty and now there are multiple journals per specialty, so the plethora of new information out there is such that you can't memorize it and keep it for two or three years and know that it's going to stay the same. In all probability, in most specialties, there is something evolving all the time. You go from sort of a memorization rote learning kind of mentality to a critical thinking mentality which then forces you to go back and re-engage and ask more questions and reference your peers and the evidence much more frequently. So, those shorter, faster turnaround hits are not necessarily bad things. It's just a totally different style and approach to learning. Dr. Alvaro Margolis: If you are in a conference like we are right now, maybe you can stay and listen to a 40-minute lecture, but if you're in front of a computer or any device, probably after four or five minutes you get bored, so time is different. Alicia Sutton: Right, very different. Where do you see this going in maybe about five years down the road? What would it be like? Dr. Alvaro Margolis: Now we are experimenting. Instead of only connecting people to people, we are connecting people to resources. It is called friend sourcing. If your friends like certain things within a course or a certain type, of course, it is more probable that you would also like this kind of resource. So, something similar to Netflix and this kind of thing but with a friend. So, this is another extension of what we're doing. We're doing a second research around that but definitely automated tools to produce better social learning are going to be in place in continuing education to healthcare professionals. Alicia Sutton: I totally agree. How about you Jan? Jan Balmer: I agree completely. I think you have to have nimble strategies that can be adapted and changed as the standards of care change and as the requirements and expectations for care change and that can be modified to rural audiences and to urban audiences that we can now translate things live on the web, so you're not limited to only one language. I think there are a lot of opportunities, and the reality is that things like the flu or other things are not limited to one country. Everyone is flying all over the globe and so what we want to be able to do is have people in India who may know about something that we in the United States don’t know and that they can inform us and recommend for us what the information is that we need to have because they're much more familiar with it or the reverse. I think we can create sort of a global think tank as it were or through resources and friend sourcing. In a very different kind of way that is not static but is sort of a living, breathing kind of responsive network. Don't you think? Dr. Alvaro Margolis: Yes. Last week I was at a conference in Singapore, but it was remotely from Montevideo. It was midnight in Montevideo and was eleven in the morning the next day in Singapore. But, the participation was as if I was there so technology is allowing for a very disruptive innovations, as Jan said, and participation without moving people, experts and participants, but also interaction as we're talking. Alicia Sutton: Absolutely. Interaction, personal, the look-a-like connections that you can find these in the social networks. That's great. Thank you, both for your great insights and we look forward to your actual presentation and getting some good points from there. We will see you again soon. Jan Balmer: Thank you very much. Dr. Alvaro Margolis: Thank you. 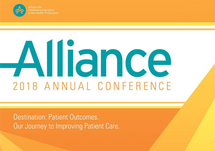 Alicia Sutton: We've been broadcasting from the Alliance for Continuing Education in the Health Professions at the annual meeting in Orlando, Florida and lots of good content coming their way. Thank you. 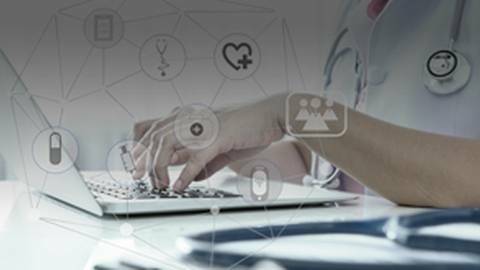 How can using Facebook and other social media networks promote social learning in your healthcare team?